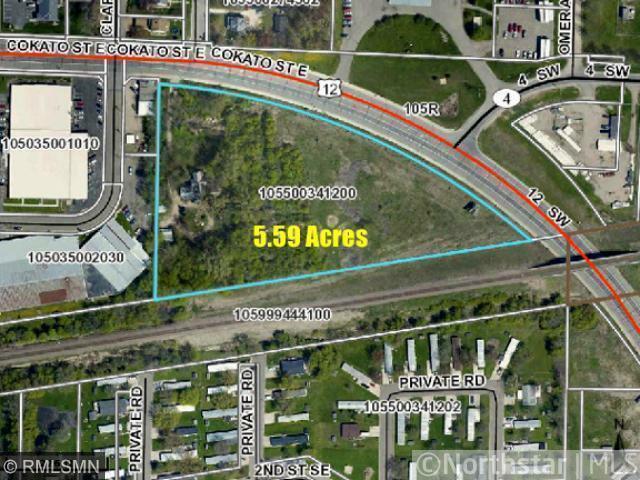 PRIME 5.59 acre, HWY 12 Development opportunity. Great Hwy 12 visibility with traffic counts of 9700 vehicles per day. Check with the city of Cokato for potential TIF and redevelopment. Existing house on the property and billboard for rental income.